The United States Army (USA) is the land warfare service branch of the United States Armed Forces. It is one of the seven uniformed services of the United States, and is designated as the Army of the United States in the United States Constitution. As the oldest and most senior branch of the U.S. military in order of precedence, the modern U.S. Army has its roots in the Continental Army, which was formed (14 June 1775) to fight the American Revolutionary War (1775–1783)—before the United States of America was established as a country. After the Revolutionary War, the Congress of the Confederation created the United States Army on 3 June 1784 to replace the disbanded Continental Army. The United States Army considers itself descended from the Continental Army, and dates its institutional inception from the origin of that armed force in 1775. As a uniformed military service, the U.S. Army is part of the Department of the Army, which is one of the three military departments of the Department of Defense. The U.S. Army is headed by a civilian senior appointed civil servant, the Secretary of the Army (SECARMY) and by a chief military officer, the Chief of Staff of the Army (CSA) who is also a member of the Joint Chiefs of Staff. It is the largest military branch, and in the fiscal year 2017, the projected end strength for the Regular Army (USA) was 476,000 soldiers; the Army National Guard (ARNG) had 343,000 soldiers and the United States Army Reserve (USAR) had 199,000 soldiers; the combined-component strength of the U.S. Army was 1,018,000 soldiers. As a branch of the armed forces, the mission of the U.S. Army is "to fight and win our Nation's wars, by providing prompt, sustained, land dominance, across the full range of military operations and the spectrum of conflict, in support of combatant commanders". The branch participates in conflicts worldwide and is the major ground-based offensive and defensive force of the United States. In 2018, the Army Strategy 2018 articulated an eight-point addendum to the Army Vision for 2028. While the Army Mission remains constant, the Army Strategy builds upon the Army's Brigade Modernization by adding focus to Corps and Division-level echelons. Modernization, reform for high-intensity conflict, and Joint multi-domain operations are added to the strategy, to be completed by 2028. This article or section may need to be cleaned up or summarized because it has been split from/to History of the United States Army. Storming of Redoubt No. 10 in the Siege of Yorktown during the American Revolutionary War prompted the British government to begin negotiations, resulting in the Treaty of Paris and British recognition of the United States of America. The Continental Army was created on 14 June 1775 by the Second Continental Congress as a unified army for the colonies to fight Great Britain, with George Washington appointed as its commander. The army was initially led by men who had served in the British Army or colonial militias and who brought much of British military heritage with them. As the Revolutionary War progressed, French aid, resources and military thinking helped shape the new army. A number of European soldiers came on their own to help, such as Friedrich Wilhelm von Steuben, who taught Prussian Army tactics and organizational skills. The army fought numerous pitched battles and in the South in 1780–1781, at times using the Fabian strategy and hit-and-run tactics, under the leadership of Major General Nathanael Greene, hit where the British were weakest to wear down their forces. Washington led victories against the British at Trenton and Princeton, but lost a series of battles in the New York and New Jersey campaign in 1776 and the Philadelphia campaign in 1777. With a decisive victory at Yorktown and the help of the French, the Continental Army prevailed against the British. After the war, the Continental Army was quickly given land certificates and disbanded in a reflection of the republican distrust of standing armies. State militias became the new nation's sole ground army, with the exception of a regiment to guard the Western Frontier and one battery of artillery guarding West Point's arsenal. However, because of continuing conflict with Native Americans, it was soon realized that it was necessary to field a trained standing army. The Regular Army was at first very small and after General St. Clair's defeat at the Battle of the Wabash, the Regular Army was reorganized as the Legion of the United States, which was established in 1791 and renamed the United States Army in 1796. 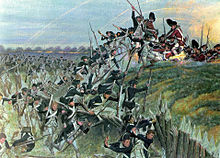 The War of 1812, the second and last war between the United States and Great Britain, had mixed results. The U.S. Army did not conquer Canada but it did destroy Native American resistance to expansion in the Old Northwest and it validated its independence by stopping two major British invasions in 1814 and 1815. After taking control of Lake Erie in 1813, the U.S. Army seized parts of western Upper Canada, burned York and defeated Tecumseh, which caused his Western Confederacy to collapse. Following U.S. victories in the Canadian province of Upper Canada, British troops who had dubbed the U.S. Army "Regulars, by God! ", were able to capture and burn Washington, which was defended by militia, in 1814. The regular army, however proved they were professional and capable of defeating the British army during the invasions of Plattsburgh and Baltimore, prompting British agreement on the previously rejected terms of a status quo ante bellum. 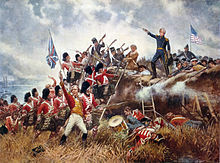 Two weeks after a treaty was signed (but not ratified), Andrew Jackson defeated the British in the Battle of New Orleans and Siege of Fort St. Philip, and became a national hero. U.S. troops and sailors captured HMS Cyane, Levant and Penguin in the final engagements of the war. Per the treaty, both sides (the United States and Great Britain) returned to the geographical status quo. Both navies kept the warships they had seized during the conflict. The army's major campaign against the Indians was fought in Florida against Seminoles. It took long wars (1818–1858) to finally defeat the Seminoles and move them to Oklahoma. The usual strategy in Indian wars was to seize control of the Indians' winter food supply, but that was no use in Florida where there was no winter. The second strategy was to form alliances with other Indian tribes, but that too was useless because the Seminoles had destroyed all the other Indians when they entered Florida in the late eighteenth century. The U.S. Army fought and won the Mexican–American War (1846–1848), which was a defining event for both countries. The U.S. victory resulted in acquisition of territory that eventually became all or parts of the states of California, Nevada, Utah, Colorado, Arizona, Wyoming and New Mexico. The American Civil War was the costliest war for the U.S. in terms of casualties. After most slave states, located in the southern U.S., formed the Confederate States, the Confederate States Army, led by former U.S. Army officers, mobilized a large fraction of Southern white manpower. Forces of the United States (the "Union" or "the North") formed the Union Army, consisting of a small body of regular army units and a large body of volunteer units raised from every state, north and south, except South Carolina. For the first two years Confederate forces did well in set battles but lost control of the border states. The Confederates had the advantage of defending a large territory in an area where disease caused twice as many deaths as combat. The Union pursued a strategy of seizing the coastline, blockading the ports, and taking control of the river systems. By 1863, the Confederacy was being strangled. Its eastern armies fought well, but the western armies were defeated one after another until the Union forces captured New Orleans in 1862 along with the Tennessee River. In the Vicksburg Campaign of 1862–1863, General Ulysses Grant seized the Mississippi River and cut off the Southwest. Grant took command of Union forces in 1864 and after a series of battles with very heavy casualties, he had General Robert E. Lee under siege in Richmond as General William T. Sherman captured Atlanta and marched through Georgia and the Carolinas. The Confederate capital was abandoned in April 1865 and Lee subsequently surrendered his army at Appomattox Court House. All other Confederate armies surrendered within a few months. The war remains the deadliest conflict in U.S. history, resulting in the deaths of 620,000 men on both sides. Based on 1860 census figures, 8% of all white males aged 13 to 43 died in the war, including 6.4% in the North and 18% in the South. Following the Civil War, the U.S. Army had the mission of containing western tribes of Native Americans on the Indian reservations. They set up many forts, and engaged in the last of the American Indian Wars. U.S. Army troops also occupied several Southern states during the Reconstruction Era to protect freedmen. The key battles of the Spanish–American War of 1898 were fought by the Navy. Using mostly new volunteers, the U.S. Army defeated Spain in land campaigns in Cuba and played the central role in the Philippine–American War. Starting in 1910, the army began acquiring fixed-wing aircraft. In 1910, Mexico was having a civil war, peasant rebels fighting government soldiers. The army was deployed to U.S. towns near the border to ensure safety to lives and property. In 1916, Pancho Villa, a major rebel leader, attacked Columbus, New Mexico, prompting a U.S. intervention in Mexico until 7 February 1917. They fought the rebels and the Mexican federal troops until 1918. The United States joined World War I as an "Associated Power" in 1917 on the side of Britain, France, Russia, Italy and the other Allies. 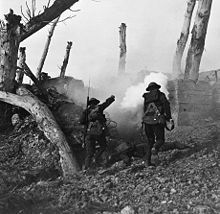 U.S. troops were sent to the Western Front and were involved in the last offensives that ended the war. With the armistice in November 1918, the army once again decreased its forces. In 1939, estimates of the Army's strength range between 174,000 and 200,000 soldiers, smaller than that of Portugal's, which ranked it 17th or 19th in the world in size. General George C. Marshall became Army Chief of Staff in September 1939 and set about expanding and modernizing the Army in preparation for war. The United States joined World War II in December 1941 after the Japanese attack on Pearl Harbor. Some 11 million Americans were to serve in various Army operations. On the European front, U.S. Army troops formed a significant portion of the forces that captured North Africa and Sicily and later fought in Italy. On D-Day 6 June 1944 and in the subsequent liberation of Europe and defeat of Nazi Germany, millions of U.S. Army troops played a central role. 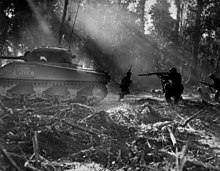 In the Pacific War, U.S. Army soldiers participated alongside the United States Marine Corps in capturing the Pacific Islands from Japanese control. Following the Axis surrenders in May (Germany) and August (Japan) of 1945, army troops were deployed to Japan and Germany to occupy the two defeated nations. Two years after World War II, the Army Air Forces separated from the army to become the United States Air Force in September 1947. In 1948, the army was desegregated by order of President Harry S. Truman. During the Cold War, U.S. troops and their allies fought communist forces in Korea and Vietnam. The Korean War began in June 1950, when the Soviets walked out of a UN Security Council meeting, removing their possible veto. Under a United Nations umbrella, hundreds of thousands of U.S. troops fought to prevent the takeover of South Korea by North Korea and later to invade the northern nation. After repeated advances and retreats by both sides and the Chinese People's Volunteer Army's entry into the war, the Korean Armistice Agreement returned the peninsula to the status quo in July 1953. The Vietnam War is often regarded as a low point for the U.S. Army due to the use of drafted personnel, the unpopularity of the war with the U.S. public and frustrating restrictions placed on the military by U.S. political leaders. While U.S. forces had been stationed in South Vietnam since 1959, in intelligence and advising/training roles, they were not deployed in large numbers until 1965, after the Gulf of Tonkin Incident. U.S. forces effectively established and maintained control of the "traditional" battlefield, but they struggled to counter the guerrilla hit and run tactics of the communist Viet Cong and the North Vietnamese Army. On a tactical level, U.S. soldiers (and the U.S. military as a whole) did not lose a sizable battle. During the 1960s, the Department of Defense continued to scrutinize the reserve forces and to question the number of divisions and brigades as well as the redundancy of maintaining two reserve components, the Army National Guard and the Army Reserve. In 1967, Secretary of Defense Robert McNamara decided that 15 combat divisions in the Army National Guard were unnecessary and cut the number to eight divisions (one mechanized infantry, two armored, and five infantry), but increased the number of brigades from seven to 18 (one airborne, one armored, two mechanized infantry and 14 infantry). The loss of the divisions did not sit well with the states. Their objections included the inadequate maneuver element mix for those that remained and the end to the practice of rotating divisional commands among the states that supported them. Under the proposal, the remaining division commanders were to reside in the state of the division base. However, no reduction in total Army National Guard strength was to take place, which convinced the governors to accept the plan. The states reorganized their forces accordingly between 1 December 1967 and 1 May 1968. The Total Force Policy was adopted by Chief of Staff of the Army General Creighton Abrams in the aftermath of the Vietnam War and involves treating the three components of the army – the Regular Army, the Army National Guard and the Army Reserve as a single force. Believing that no U.S. President should be able to take the United States (and more specifically the U.S. Army) to war without the support of the U.S. people, General Abrams intertwined the structure of the three components of the army in such a way as to make extended operations impossible, without the involvement of both the Army National Guard and the Army Reserve. The 1980s was mostly a decade of reorganization. The army converted to an all-volunteer force with greater emphasis on training and technology. The Goldwater-Nichols Act of 1986 created unified combatant commands bringing the army together with the other four military services under unified, geographically organized command structures. The army also played a role in the invasions of Grenada in 1983 (Operation Urgent Fury) and Panama in 1989 (Operation Just Cause). By 1989 Germany was nearing reunification and the Cold War was coming to a close. Army leadership reacted by starting to plan for a reduction in strength. 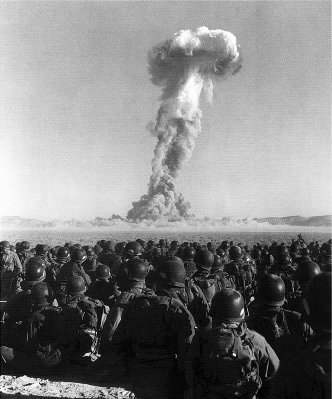 By November 1989 Pentagon briefers were laying out plans to reduce army end strength by 23%, from 750,000 to 580,000. A number of incentives such as early retirement were used. In 1990, Iraq invaded its smaller neighbor, Kuwait, and U.S. land forces quickly deployed to assure the protection of Saudi Arabia. In January 1991 Operation Desert Storm commenced, a U.S.-led coalition which deployed over 500,000 troops, the bulk of them from U.S. Army formations, to drive out Iraqi forces. The campaign ended in total victory, as Western coalition forces routed the Iraqi Army. Some of the largest tank battles in history were fought during the Gulf war. 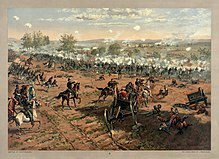 The Battle of Medina Ridge, Battle of Norfolk and the Battle of 73 Easting were tank battles of historical significance. 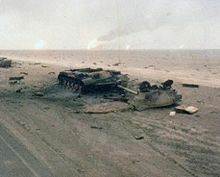 Iraqi tanks destroyed by Task Force 1-41 Infantry during the 1st Gulf War, February 1991. After Operation Desert Storm, the army did not see major combat operations for the remainder of the 1990s but did participate in a number of peacekeeping activities. In 1990 the Department of Defense issued guidance for "rebalancing" after a review of the Total Force Policy, but in 2004, Air War College scholars concluded the guidance would reverse the Total Force Policy which is an "essential ingredient to the successful application of military force". 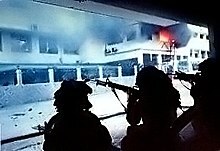 On 11 September 2001, 53 Army civilians (47 employees and six contractors) and 22 soldiers were among the 125 victims killed in the Pentagon in a terrorist attack when American Airlines Flight 77 commandeered by five Al-Qaeda hijackers slammed into the western side of the building, as part of the September 11 attacks. In response to the 11 September attacks and as part of the Global War on Terror, U.S. and NATO forces invaded Afghanistan in October 2001, displacing the Taliban government. The U.S. Army also led the combined U.S. and allied invasion of Iraq in 2003; it served as the primary source for ground forces with its ability to sustain short and long-term deployment operations. In the following years, the mission changed from conflict between regular militaries to counterinsurgency, resulting in the deaths of more than 4,000 U.S. service members (as of March 2008) and injuries to thousands more. 23,813 insurgents were killed in Iraq between 2003–2011. Until 2009, the army's chief modernization plan, its most ambitious since World War II, was the Future Combat Systems program. In 2009, many systems were canceled and the remaining were swept into the BCT modernization program. By 2017, the Brigade Modernization project was completed and its headquarters, the Brigade Modernization Command, was renamed the Joint Modernization Command, or JMC. In response to Budget sequestration in 2013, Army plans were to shrink to 1940 levels, although actual Active-Army end-strengths were projected to fall to some 450,000 troops by the end of FY2017. From 2016 to 2017, the Army retired hundreds of OH-58 Kiowa Warrior observation helicopters, while retaining its Apache gunships. The 2015 expenditure for Army research, development and acquisition changed from $32 billion projected in 2012 for FY15 to $21 billion for FY15 expected in 2014. By 2017, a task force was formed to address Army modernization, which triggered shifts of units: RDECOM, and ARCIC, from within Army Materiel Command (AMC), and TRADOC, respectively, to a new Army Command (ACOM) in 2018. The Army Futures Command (AFC), is a peer of FORSCOM, TRADOC, and AMC, the other ACOMs.. AFC's mission is modernization reform: to design hardware, as well as to work within the acquisition process which defines materiel for AMC. TRADOC's mission is to define the architecture and organization of the Army, and to train and supply soldiers to FORSCOM. :minutes 2:30-15:00 AFC's cross-functional teams (CFTs) are Futures Command's vehicle for sustainable reform of the acquisition process for the future. In order to support the Army's modernization priorities, its FY2020 budget allocated $30 billion for the top six modernization priorities over the next five years. The $30 billion came from $8 billion in cost avoidance and $22 billion in terminations. The task of organizing the U.S. Army commenced in 1775. In the first one hundred years of its existence, the United States Army was maintained as a small peacetime force to man permanent forts and perform other non-wartime duties such as engineering and construction works. During times of war, the U.S. Army was augmented by the much larger United States Volunteers which were raised independently by various state governments. States also maintained full-time militias which could also be called into the service of the army. By the twentieth century, the U.S. Army had mobilized the U.S. Volunteers on four separate occasions during each of the major wars of the nineteenth century. 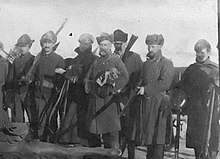 During World War I, the "National Army" was organized to fight the conflict, replacing the concept of U.S. Volunteers. It was demobilized at the end of World War I, and was replaced by the Regular Army, the Organized Reserve Corps and the State Militias. In the 1920s and 1930s, the "career" soldiers were known as the "Regular Army" with the "Enlisted Reserve Corps" and "Officer Reserve Corps" augmented to fill vacancies when needed. In 1941, the "Army of the United States" was founded to fight World War II. The Regular Army, Army of the United States, the National Guard and Officer/Enlisted Reserve Corps (ORC and ERC) existed simultaneously. After World War II, the ORC and ERC were combined into the United States Army Reserve. The Army of the United States was re-established for the Korean War and Vietnam War and was demobilized upon the suspension of the draft. Currently, the Army is divided into the Regular Army, the Army Reserve and the Army National Guard. Some states further maintain state defense forces, as a type of reserve to the National Guard, while all states maintain regulations for state militias. State militias are both "organized", meaning that they are armed forces usually part of the state defense forces, or "unorganized" simply meaning that all able bodied males may be eligible to be called into military service. The U.S. Army is also divided into several branches and functional areas. Branches include officers, warrant officers, and enlisted Soldiers while functional areas consist of officers who are reclassified from their former branch into a functional area. However, officers continue to wear the branch insignia of their former branch in most cases, as functional areas do not generally have discrete insignia. Some branches, such as Special Forces, operate similarly to functional areas in that individuals may not join their ranks until having served in another Army branch. Careers in the Army can extend into cross-functional areas for officer, warrant officer, enlisted, and civilian personnel. Before 1933, members of the Army National Guard were considered state militia until they were mobilized into U.S. Army, typically on the onset of war. Since the 1933 amendment to the National Defense Act of 1916, all Army National Guard soldiers have held dual status. They serve as National Guardsmen under the authority of the governor of their state or territory and as a reserve members of the U.S. Army under the authority of the President, in the Army National Guard of the United States. Since the adoption of the total force policy, in the aftermath of the Vietnam War, reserve component soldiers have taken a more active role in U.S. military operations. For example, Reserve and Guard units took part in the Gulf War, peacekeeping in Kosovo, Afghanistan and the 2003 invasion of Iraq. United States Army Civilian Human Resources Agency (CHRA) BG Larry D. Gottardi Washington, D.C.
United States Army Corps of Engineers (USACE) LTG Todd T. Semonite Washington, D.C.
United States Army Military District of Washington (MDW) MG Michael L. Howard Fort Lesley J. McNair, Washington, D.C.
See Structure of the United States Army for detailed treatment of the history, components, administrative and operational structure and the branches and functional areas of the Army. The U.S. Army is made up of three components: the active component, the Regular Army; and two reserve components, the Army National Guard and the Army Reserve. Both reserve components are primarily composed of part-time soldiers who train once a month – known as battle assemblies or unit training assemblies (UTAs) – and conduct two to three weeks of annual training each year. Both the Regular Army and the Army Reserve are organized under Title 10 of the United States Code, while the National Guard is organized under Title 32. While the Army National Guard is organized, trained and equipped as a component of the U.S. Army, when it is not in federal service it is under the command of individual state and territorial governors. However, the District of Columbia National Guard reports to the U.S. President, not the district's mayor, even when not federalized. Any or all of the National Guard can be federalized by presidential order and against the governor's wishes. The U.S. Army is led by a civilian Secretary of the Army, who has the statutory authority to conduct all the affairs of the army under the authority, direction and control of the Secretary of Defense. The Chief of Staff of the Army, who is the highest-ranked military officer in the army, serves as the principal military adviser and executive agent for the Secretary of the Army, i.e., its service chief; and as a member of the Joint Chiefs of Staff, a body composed of the service chiefs from each of the four military services belonging to the Department of Defense who advise the President of the United States, the Secretary of Defense and the National Security Council on operational military matters, under the guidance of the Chairman and Vice Chairman of the Joint Chiefs of Staff. 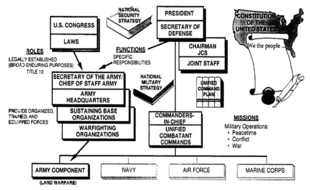 In 1986, the Goldwater–Nichols Act mandated that operational control of the services follows a chain of command from the President to the Secretary of Defense directly to the unified combatant commanders, who have control of all armed forces units in their geographic or function area of responsibility, thus the secretaries of the military departments (and their respective service chiefs underneath them) only have the responsibility to organize, train and equip their service components. The army provides trained forces to the combatant commanders for use as directed by the Secretary of Defense. Armored brigades, with strength of 4,743 troops as of 2014. Stryker brigades, with strength of 4,500 troops as of 2014. Infantry brigades, with strength of 4,413 troops as of 2014. In addition, there are combat support and service support modular brigades. Combat support brigades include aviation (CAB) brigades, which will come in heavy and light varieties, fires (artillery) brigades (now transforms to division artillery) and expeditionary military intelligence brigades. Combat service support brigades include sustainment brigades and come in several varieties and serve the standard support role in an army. The U.S. Army currently consists of 10 active divisions and one deployable division headquarters (7th Infantry Division) as well as several independent units. The force is in the process of contracting after several years of growth. In June 2013, the Army announced plans to downsize to 32 active combat brigade teams by 2015 to match a reduction in active duty strength to 490,000 soldiers. Army Chief of Staff Raymond Odierno projected that the Army was to shrink to "450,000 in the active component, 335,000 in the National Guard and 195,000 in U.S. Army Reserve" by 2018. However, this plan was scrapped by the new administration and now the Army plans to grow by 16,000 soldiers to a total of 476,000 by October 2017. The National Guard and the Army Reserve will see a smaller expansion. Within the Army National Guard and United States Army Reserve there are a further 8 divisions, over 15 maneuver brigades, additional combat support and combat service support brigades and independent cavalry, infantry, artillery, aviation, engineer and support battalions. The Army Reserve in particular provides virtually all psychological operations and civil affairs units. For a description of U.S. Army tactical organizational structure, see: a U.S. context and also a global context. 1st Special Forces Command (Airborne) Fort Bragg, North Carolina The 1st SFC(A) manages seven special forces groups (the 1st SFG(A), 3rd SFG(A), 5th SFG(A), 7th SFG(A), 10th SFG(A), 19th SFG(A) (ARNG) and 20th SFG(A) (ARNG)) that are trained for unconventional warfare, foreign internal defense, special reconnaissance, direct action and counter-terrorism missions. The command also manages two psychological operations groups (the 4th POG(A) and 8th POG(A)) tasked to work with foreign nations to induce or reinforce behavior favorable to U.S. objectives; the 95th Civil Affairs Brigade (Airborne) that enables military commanders and U.S. ambassadors to improve relationships with various stakeholders; and the 528th Sustainment Brigade (Airborne) that provides combat service support and combat health support units. The command also has an organic Military Intelligence Battalion providing multi-source intelligence information and analysis. Army Special Operations Aviation Command Ft. Bragg, North Carolina Organizes, mans, trains, resources and equips Army special operations aviation units to provide responsive, special operations aviation support to Special Operations Forces (SOF) consisting of five units: USASOC Flight Company (UFC), Special Operations Training Battalion (SOATB), Technology Applications Program Office (TAPO), Systems Integration Management Office (SIMO) and the 160th Special Operations Aviation Regiment (Airborne). 75th Ranger Regiment Fort Benning, Georgia Three maneuver battalions (the 1st Ranger BN, 2nd Ranger BN, and 3rd Ranger BN) and a Special Troops Battalion of elite airborne infantry specializing in direct action raids and airfield seizures. John F. Kennedy Special Warfare Center and School Ft. Bragg, North Carolina The SWCS selects and trains special forces, civil affairs, and psychological operations soldiers consisting of five distinct units and the Directorate of Training and Doctrine: 1st Special Warfare Training Group (Airborne), Special Warfare Education Group (Airborne), Special Warfare Medical Group (Airborne), Special Forces Warrant Officer Institute, and David K. Thuma Non-Commissioned Officers Academy. 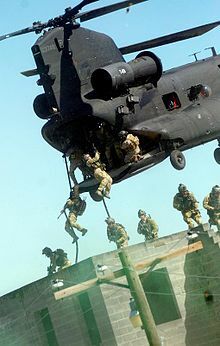 1st Special Forces Operational Detachment-Delta Ft. Bragg, North Carolina Elite special operations and counter-terrorism unit under the control of Joint Special Operations Command. These are the U.S. Army ranks authorized for use today and their equivalent NATO designations. Although no living officer currently holds the rank of General of the Army, it is still authorized by Congress for use in wartime. There are several paths to becoming a commissioned officer including the United States Military Academy, Reserve Officers' Training Corps and Officer Candidate School. Regardless of which road an officer takes, the insignia are the same. Certain professions including physicians, pharmacists, nurses, lawyers and chaplains are commissioned directly into the army and are designated by insignia unique to their staff community. Most army commissioned officers are promoted based on an "up or out" system. The Defense Officer Personnel Management Act of 1980 establishes rules for timing of promotions and limits the number of officers that can serve at any given time. Army regulations call for addressing all personnel with the rank of general as "General (last name)" regardless of the number of stars. Likewise, both colonels and lieutenant colonels are addressed as "Colonel (last name)" and first and second lieutenants as "Lieutenant (last name)". Note: General of the Army is reserved for wartime. Warrant officers are single track, specialty officers with subject matter expertise in a particular area. They are initially appointed as warrant officers (in the rank of WO1) by the Secretary of the Army, but receive their commission upon promotion to chief warrant officer two (CW2). By regulation, warrant officers are addressed as "Mr. (last name)" or "Ms. (last name)" by senior officers and as "sir" or "ma'am" by all enlisted personnel. However, many personnel address warrant officers as "Chief (last name)" within their units regardless of rank. Sergeants and corporals are referred to as NCOs, short for non-commissioned officers. This distinguishes corporals from the more numerous specialists who have the same pay grade, but do not exercise leadership responsibilities. Privates (E1 and E2) and privates first class (E3) are addressed as "Private (last name)", specialists as "Specialist (last name)", corporals as "Corporal (last name)" and sergeants, staff sergeants, sergeants first class and master sergeants all as "Sergeant (last name)". First sergeants are addressed as "First Sergeant (last name)" and sergeants major and command sergeants major are addressed as "Sergeant Major (last name)". ¹ PVT is also used as an abbreviation for both private ranks when pay grade need not be distinguished. ² SP4 is sometimes encountered instead of SPC for specialist. This is a holdover from when there were additional specialist ranks at pay grades E-5 to E-7. Training in the U.S. Army is generally divided into two categories – individual and collective. Basic training consists of 10 weeks for most recruits followed by Advanced Individualized Training (AIT) where they receive training for their military occupational specialties (MOS). Some individuals MOSs range anywhere from 14–20 weeks of One Station Unit Training (OSUT), which combines Basic Training and AIT. The length of AIT school varies by the MOS The length of time spent in AIT depends on the MOS of the soldier and some highly technical MOS training may require many months (e.g., foreign language translators). Depending on the needs of the army, Basic Combat Training for combat arms soldiers is conducted at a number of locations, but two of the longest-running are the Armor School and the Infantry School, both at Fort Benning, Georgia. Sergeant Major of the Army Dailey notes that an infantrymen's pilot program for One Station Unit Training (OSUT), extends 8 weeks beyond Basic Training and AIT, to 22 weeks. The pilot, designed to boost infantry readiness, is due to end in December 2018. The new Infantry OSUT covered the M240 machine gun as well as the M249 squad automatic weapon. The redesigned Infantry OSUT would start in 2019. Depending on the result of the 2018 pilot, OSUTs could also extend training in other combat arms beyond the infantry. One Station Unit Training will be extended to 22 weeks for Armor by Fiscal Year 2021. The Army combat fitness test (ACFT) is being introduced into the Army, beginning with 60 battalions spread throughout the Army. The test is the same for all soldiers, men or women. It will take an hour to complete, including resting periods. The ACFT supersedes the Army physical fitness test (APFT), as being more relevant to survival in combat. Six events were determined to better predict which muscle groups of the body were adequately conditioned for combat actions: three deadlifts, a standing power throw of a ten-pound medicine ball, hand-release pushups (which replace the traditional pushup), a sprint/drag/carry 250 yard event, three pull-ups with leg tucks (one needed to pass), and a two-mile run. Eventually (by 2020) all soldiers will be subject to this test. The ACFT will test all soldiers in basic training by October 2020. The ACFT movements directly translate to movements on the battlefield. Following their basic and advanced training at the individual-level, soldiers may choose to continue their training and apply for an "additional skill identifier" (ASI). The ASI allows the army to take a wide-ranging MOS and focus it into a more specific MOS. For example, a combat medic, whose duties are to provide pre-hospital emergency treatment, may receive ASI training to become a cardiovascular specialist, a dialysis specialist or even a licensed practical nurse. For commissioned officers, training includes pre-commissioning training, known as Basic Officer Leader Course A, either at USMA or via ROTC, or by completing OCS. After commissioning, officers undergo branch specific training at the Basic Officer Leaders Course B, (formerly called Officer Basic Course), which varies in time and location according to their future assignments. Officers will continue to attend standardized training at different stages of their career. Collective training at the unit level takes place at the unit's assigned station, but the most intensive training at higher echelons is conducted at the three combat training centers (CTC); the National Training Center (NTC) at Fort Irwin, California, the Joint Readiness Training Center (JRTC) at Fort Polk, Louisiana and the Joint Multinational Training Center (JMRC) at the Hohenfels Training Area in Hohenfels and Grafenwöhr, Germany. ARFORGEN is the Army Force Generation process approved in 2006 to meet the need to continuously replenish forces for deployment, at unit level and for other echelons as required by the mission. Individual-level replenishment still requires training at a unit level, which is conducted at the continental U.S. (CONUS) replacement center (CRC) at Fort Bliss, in New Mexico and Texas before their individual deployment. Chief of Staff Milley notes that the Army is suboptimized for training in cold-weather regions, jungles, mountains, or urban areas where in contrast the Army does well when training for deserts or rolling terrain. :minute 1:26:00 Post 9/11, Army unit-level training was for counter-insurgency (COIN); by 2014-2017, training had shifted to decisive action training. The Chief of Staff of the Army has identified six modernization priorities, in order: artillery, ground vehicles, aircraft, network, air/missile defense, and soldier lethality. The army employs various individual weapons to provide light firepower at short ranges. The most common weapons used by the army are the compact variant of the M16 rifle, known as the M4 carbine, as well as the 7.62×51mm variant of the FN SCAR for Army Rangers. The primary sidearm in the U.S. Army is the 9 mm M9 pistol; the M11 pistol is also used. Both handguns are to be replaced by the M17 through the Modular Handgun System program. Soldiers are also equipped with various hand grenades, such as the M67 fragmentation grenade and M18 smoke grenade. Many units are supplemented with a variety of specialized weapons, including the M249 SAW (Squad Automatic Weapon), to provide suppressive fire at the squad level. Indirect fire is provided by the M320 grenade launcher. The M1014 Joint Service Combat Shotgun or the Mossberg 590 Shotgun are used for door breaching and close-quarters combat. The M14EBR is used by designated marksmen. Snipers use the M107 Long Range Sniper Rifle, the M2010 Enhanced Sniper Rifle and the M110 Semi-Automatic Sniper Rifle. 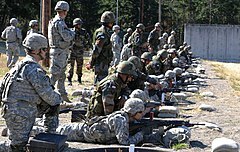 The army employs various crew-served weapons to provide heavy firepower at ranges exceeding that of individual weapons. The M240 is the U.S. Army's standard Medium Machine Gun. The M2 heavy machine gun is generally used as a vehicle-mounted machine gun. In the same way, the 40 mm MK 19 grenade machine gun is mainly used by motorized units. The U.S. Army uses three types of mortar for indirect fire support when heavier artillery may not be appropriate or available. The smallest of these is the 60 mm M224, normally assigned at the infantry company level. At the next higher echelon, infantry battalions are typically supported by a section of 81 mm M252 mortars. The largest mortar in the army's inventory is the 120 mm M120/M121, usually employed by mechanized units. Fire support for light infantry units is provided by towed howitzers, including the 105 mm M119A1 and the 155 mm M777 (which will replace the M198). 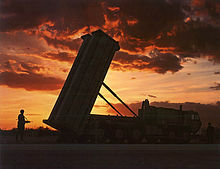 The U.S. Army utilizes a variety of direct-fire rockets and missiles to provide infantry with an Anti-Armor Capability. The AT4 is an unguided projectile that can destroy armor and bunkers at ranges up to 500 meters. The FIM-92 Stinger is a shoulder-launched, heat seeking anti-aircraft missile. The FGM-148 Javelin and BGM-71 TOW are anti-tank guided missiles. U.S. Army doctrine puts a premium on mechanized warfare. It fields the highest vehicle-to-soldier ratio in the world as of 2009. The army's most common vehicle is the High Mobility Multipurpose Wheeled Vehicle (HMMWV), commonly called the Humvee, which is capable of serving as a cargo/troop carrier, weapons platform and ambulance, among many other roles. While they operate a wide variety of combat support vehicles, one of the most common types centers on the family of HEMTT vehicles. The M1A2 Abrams is the army's main battle tank, while the M2A3 Bradley is the standard infantry fighting vehicle. Other vehicles include the Stryker, the M113 armored personnel carrier and multiple types of Mine Resistant Ambush Protected (MRAP) vehicles. The U.S. Army's principal artillery weapons are the M109A6 Paladin self-propelled howitzer and the M270 Multiple Launch Rocket System (MLRS), both mounted on tracked platforms and assigned to heavy mechanized units. While the United States Army Aviation Branch operates a few fixed-wing aircraft, it mainly operates several types of rotary-wing aircraft. These include the AH-64 Apache attack helicopter, the UH-60 Black Hawk utility tactical transport helicopter and the CH-47 Chinook heavy-lift transport helicopter. Restructuring plans call for reduction of 750 aircraft and from 7 to 4 types. Under the Johnson-McConnell agreement of 1966, the Army agreed to limit its fixed-wing aviation role to administrative mission support (light unarmed aircraft which cannot operate from forward positions). For UAVs, the Army is deploying at least one company of drone MQ-1C Gray Eagles to each Active Army division. The Army Combat Uniform (ACU) currently features a camouflage pattern known as Operational Camouflage Pattern (OCP). This replaced a pixelated pattern known as Universal Camouflage Pattern (UCP) that proved to be ineffective in many environments. 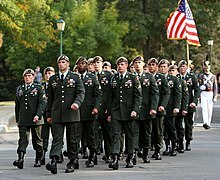 On 11 November 2018, the Army announced a new version of 'Army Greens' based on uniforms worn during World War II will become the standard garrison service uniform. The blue Army Service Uniform will remain as the dress uniform. The Army Greens are projected to be first fielded in summer of 2020. The U.S. Army's black beret is no longer worn with the ACU for garrison duty, having been permanently replaced with the patrol cap. After years of complaints that it was not suited well for most work conditions, Army Chief of Staff General Martin Dempsey eliminated it for wear with the ACU in June 2011. Soldiers still wear berets who are currently in a unit in jump status, whether the wearer is parachute-qualified or not (maroon beret), while members of Security Force Assistance Brigades (SFABs) wear brown berets. Members of the 75th Ranger Regiment and the Airborne and Ranger Training Brigade (tan beret) and Special Forces (rifle green beret) may wear it with the Army Service Uniform for non-ceremonial functions. Unit commanders may still direct the wear of patrol caps in these units in training environments or motor pools. The Army has relied heavily on tents to provide the various facilities needed while on deployment (Force Provider Expeditionary (FPE) ). :p.146 The most common tent uses for the military are as temporary barracks (sleeping quarters), DFAC buildings (dining facilities), forward operating bases (FOBs), after action review (AAR), tactical operations center (TOC), morale, welfare and recreation (MWR) facilities, as well as security checkpoints. Furthermore, most of these tents are set up and operated through the support of Natick Soldier Systems Center. Each FPE contains billeting, latrines, showers, laundry and kitchen facilities for 50-150 Soldiers,:p.146 and is stored in Army Prepositioned Stocks 1, 2, 4 and 5. This provisioning allows combatant commanders to position soldiers as required in their Area of Responsibility, within 24 to 48 hours. The U.S. Army is beginning to use a more modern tent called the deployable rapid assembly shelter (DRASH). In 2008, DRASH became part of the Army's Standard Integrated Command Post System. ^ "Important Information and Guidelines About the Use of Department of Defense Seals, Logos, Insignia, and Service Medals" (PDF). United States Department of Defense. 16 October 2015. p. 2. Archived from the original (PDF) on 5 April 2016. Retrieved 5 April 2016. ^ Wright, Jr., Robert K. (1983). The Continental Army (Army Lineage Series). Washington, D.C.: Center of Military History, United States Army. ISBN 9780160019319. OCLC 8806011. ^ Maass, John R. "June 14th: The Birthday of the U.S. Army". U.S. Army Center of Military History. Retrieved 30 October 2013. ^ a b Pike, John. "U.S. Military Personnel End Strength". www.globalsecurity.org. ^ "World Air Forces 2018". Flightglobal: 17. Retrieved 13 June 2018. ^ Usa, Ibp. U.S. Future Combat & Weapon Systems Handbook. p. 15. ^ U.S. Army Official Branding Toolkit (PDF). Archived from the original (PDF) on 11 October 2017. Retrieved 2 August 2017. ^ Article II, section 2, clause 1 of the United States Constitution (1789). See also Title 10, Subtitle B, Chapter 301, Section 3001. ^ "Army Birthdays". United States Army Center of Military History. 15 November 2004. Archived from the original on 20 April 2010. Retrieved 3 June 2010. ^ "The United States Army - Organization". army.mil. Retrieved 1 April 2015. ^ DA Pamphlet 10-1 Organization of the United States Army; Figure 1.2 Military Operations. ^ "10 USC 3062: Policy; composition; organized peace establishment". U.S. House of Representatives. Archived from the original on 5 October 2013. Retrieved 21 August 2013. ^ Cont'l Cong., Formation of the Continental Army, in 2 Journals of the Continental Congress, 1774–1789 89–90 (Library of Cong. eds., 1905). ^ Cont'l Cong., Commission for General Washington, in 2 Journals of the Continental Congress, 1774–1789 96-7 (Library of Cong. eds., 1905). ^ Cont'l Cong., Instructions for General Washington, in 2 Journals of the Continental Congress, 1774–1789 100-1 (Library of Cong. eds., 1905). ^ Cont'l Cong., Resolution Changing "United Colonies" to "United States", in 5 Journals of the Continental Congress, 1774–1789 747 (Library of Cong. eds., 1905). ^ "The U.S.-Mexican War - PBS". pbs.org. Retrieved 1 April 2015. ^ Tinkler, Robert. "Southern Unionists in the Civil War". csuchico.edu/. Retrieved 21 November 2016. ^ Cragg, Dan, ed., The Guide to Military Installations, Stackpole Books, Harrisburg, 1983, p. 272. ^ "U.S. army was smaller than the army for Portugal before World War II". Politifact. Retrieved 23 January 2018. ^ "Excerpt - General George C. Marshall: Strategic Leadership and the Challenges of Reconstituting the Army, 1939-41". ssi.armywarcollege.edu. Retrieved 23 January 2018. ^ Nese DeBruyne, Congressional Research Service (18 September 2018) American War and Military Operations Casualties: Lists and Statistics Page 3, note j —World War II: 10.42 million (1 December 1941-31 August 1945). Note: other sources are counting the Army of Occupation up to 31 December 1946. 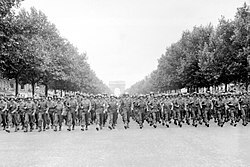 By 30 June 1947 the Army's strength was down to 990,000 troops. ^ a b US Army TRADOC (16 September 2015). "Perkins discusses operationalizing the Army Operating Concept". YouTube. Retrieved 2 November 2017. ^ Woodruff, Mark. Unheralded Victory: The Defeat of the Viet Cong and the North Vietnamese Army 1961–1973 (Arlington, VA: Vandamere Press, 1999). ^ Wilson, John B. (1997). Maneuver and Firepower: The Evolution of Divisions and Separate Brigades. Washington, DC: Center of Military History, Chapter XII, for references see Note 48. ^ "Army National Guard Constitution". Archived from the original on 21 May 2013. ^ Carafano, James, Total Force Policy and the Abrams Doctrine: Unfulfilled Promise, Uncertain Future Archived 10 April 2010 at the Wayback Machine, Foreign Policy Research Institute, 3 February 2005. ^ "10 Most Epic Tank Battles in Military History". www.militaryeducation.org. Retrieved 2 November 2017. ^ "These were the 6 most massive tank battles in US history". Wearethemighty.com. 24 March 2016. Retrieved 2 November 2017. ^ Downey, Chris, The Total Force Policy and Effective Force Archived 29 April 2011 at the Wayback Machine, Air War College, 19 March 2004. ^ "September 11, 2001 Pentagon Victims". patriotresource.com. Retrieved 13 November 2015. ^ Burnham, G; Lafta, R; Doocy, S; Roberts, L (2006). John Pike (ed.). "U.S. Casualties in Iraq". The Lancet (published 4 September 2007). 368 (9545): 1421–1428. doi:10.1016/S0140-6736(06)69491-9. PMID 17055943. Archived from the original (web page) on 5 September 2007. Retrieved 16 January 2012. ^ "The Human Cost of the War in Iraq: A Mortality Study, 2002–2006" (PDF). (603 KB). By Gilbert Burnham, Shannon Doocy, Elizabeth Dzeng, Riyadh Lafta, and Les Roberts. A supplement to the second Lancet study. ^ 597 killed in 2003, , 23,984 killed from 2004 through 2009 (with the exceptions of May 2004 and March 2009),  652 killed in May 2004,  45 killed in March 2009,  676 killed in 2010,  451 killed in 2011 (with the exception of February),       "Archived copy". Archived from the original on 12 January 2012. Retrieved 22 October 2011. CS1 maint: Archived copy as title (link) "Archived copy". Archived from the original on 2 October 2011. Retrieved 15 October 2011. CS1 maint: Archived copy as title (link) "Archived copy". Archived from the original on 11 November 2011. Retrieved 3 November 2011. CS1 maint: Archived copy as title (link) for a total of 26,405 dead. ^ "Defense Secretary Gates observes Army Future Combat Systems progress". US Fed News Service. 9 May 2008. Archived from the original on 25 May 2017. Retrieved 12 May 2017. ^ "FCS Program Transitions to Army BCT Modernization". defencetalk.com. Defencetalk.com. 26 June 2009. Retrieved 21 November 2016. ^ Shanker, Thom; Cooper, Helene (23 February 2014). "Pentagon Plans to Shrink Army to Pre-World War II Level". The New York Times Company. Retrieved 23 February 2014. ^ "Kiowa Warriors pass torch to Apache attack helicopters in South Korea". Stars and Stripes. 26 January 2017. Retrieved 13 May 2017. ^ Drwiega, Andrew. "Missions Solutions Summit: Army Leaders Warn of Rough Ride Ahead" Rotor&Wing, 4 June 2014. Accessed: 8 June 2014. ^ Center for Strategic & International Studies (29 April 2014). ""The Future Army," featuring U.S. General David G. Perkins". YouTube. Retrieved 2 November 2017. ^ DA Pam 10-1 Organization of the United States Army, Figure 1-1. '"Army Organizations Execute Specific Functions and Assigned Missions"
^ Organization of the United States Army: America's Army 1775 – 1995, DA PAM 10–1. Headquarters, Department of the Army, Washington, 14 June 1994. ^ a b Finnegan, John Patrick; Romana Danysh (1998). "Chapter 2: World War I". In Jeffrey J. Clarke (ed.). Military Intelligence. Army Lineage Series. Washington, D.C., United States: Center of Military History, United States Army. online. ISBN 978-0160488283. OCLC 35741383. Archived from the original on 30 August 2009. ^ a b Pullen, Randy (23 April 2008). "Army Reserve Marks First 100 Years". DefenceTalk. Archived from the original (online article) on 24 April 2008. Retrieved 8 August 2008. ^ Department of Defense, Under Secretary of Defense for Personnel and Readiness, Military compensation background papers, Seventh edition, page 229. Department of Defense, 2005. ^ "Leaders | U.S. Army Europe Leaders". Army.mil. Archived from the original on 18 January 2018. Retrieved 2 February 2018. ^ "Commanding General" (PDF). United States Army, Surface Deployment and Distribution Command. 7 September 2010. Archived from the original (PDF) on 21 March 2012. Retrieved 26 February 2012. ^ U.S. Army (1 October 2010). "Army establishes Army Cyber Command". army.mil. Retrieved 28 June 2016. ^ "8th Army chief vows firm readiness". Koreatimes.co.kr. 2 February 2016. Retrieved 2 May 2016. ^ "Who is Kate Kelley?". allgov.com. Retrieved 13 December 2018. ^ "Craig Spisak". asc.army.mil. Retrieved 13 December 2018. ^ "About our Leadership Team". cpol.army.mil. Retrieved 13 December 2018. ^ "BG Larry D. Gottardi". catalog.archives.gov. Retrieved 13 December 2018. ^ Lieutenant General Todd T. Semonite, Biography article, undated. Retrieved 28 June 2016. ^ "10 U.S.C. 3013" (PDF). Retrieved 2 May 2016. ^ "10 U.S.C. 3033" (PDF). Retrieved 2 May 2016. ^ "10 U.S.C. 151" (PDF). Retrieved 2 May 2016. ^ "10 U.S.C. 162" (PDF). Retrieved 2 May 2016. ^ "CSA Odierno and SMA Chandler virtual town hall, Jan 6, 2015". Army.mil. Retrieved 2 May 2016. ^ "Army offers up to $90K bonuses to lure troops back". 6 June 2017. ^ "Needing troops, U.S. Army offers up to $90K bonuses to re-enlist". Daily-chronicle.com. Retrieved 2 November 2017. ^ "First Army - Mission". army.mil. Retrieved 1 April 2015. ^ "South Korean troops form combined division with U.S. Army". Army Times. 14 January 2015. Retrieved 13 November 2015. ^ "173rd Airborne Brigade Site Redirect". Archived from the original on 11 October 2017. Retrieved 13 December 2016. ^ a b c From the Future Soldiers Web Site. ^ a b c "Army Regulation 600-20" (PDF). Retrieved 2 May 2016. ^ "Department of Defense - Officer Rank Insignia". defense.gov. Retrieved 1 April 2015. ^ From the Enlisted Soldiers Descriptions Web Site. ^ a b c ASA(ALT) Weapon Systems Handbook 2018 Page 32 lists how this handbook is organized. 440 pages. ^ OMelveny, Sean. "Army Picks Sig Sauer's P320 Handgun to Replace M9 Service Pistol". ^ Individual Weapons Future Innovations, Project Manager Soldier Weapons. ^ John Pike. "M777 Lightweight 155mm howitzer (LW155)". globalsecurity.org. Retrieved 1 April 2015. ^ Us Future Combat & Weapon Systems Handbook. Int'l Business Publications. 30 March 2009. p. 15. ISBN 978-1-4387-5447-5. Retrieved 12 May 2017. ^ Kyle Jahner, Army Times (3:35 p.m. EST January 8, 2015) "Army to build dedicated drone runway at Fort Bliss"
^ Joe Lacdan (August 13, 2018) Automated meal entitlement system, food trucks to improve Soldier dining experience Accomplishes paperwork reduction based on reading each soldier's Common Access Card at each use at DFAC. This article incorporates public domain material from the United States Army Center of Military History document "Army Birthdays". For a more comprehensive list, see Bibliography of United States military history. "Desert Storm/Shield Valorous Unit Award (VUA) Citations". US Army Center of Military History. Retrieved 26 December 2014. Bluhm, Jr, Raymond K. (Editor-in-Chief); Andrade, Dale; Jacobs, Bruce; Langellier, John; Newell, Clayton R.; Seelinger, Matthew (2004). U.S. Army: A Complete History (Beaux Arts ed.). Arlington, VA: The Army Historical Foundation. p. 744. ISBN 978-0-88363-640-4. Clark, J. P. Preparing for War: The Emergence of the Modern U.S. Army, 1815–1917 (Harvard UP, 2017) 336 pp. Kretchik, Walter E. U.S. Army Doctrine: From the American Revolution to the War on Terror (University Press of Kansas; 2011) 392 pages; studies military doctrine in four distinct eras: 1779–1904, 1905–1944, 1944–1962, and 1962 to the present.